Why us Lanzarote? We guarantee you an unforgettable holiday. 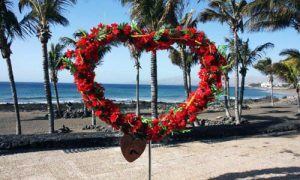 Why us Lanzarote… unforgettable holiday guaranteed! A place, an island, resorts you will never forget! P.S. Our guests are very important to us and we want that your unforgettable holiday makes you happy!